This morning Southwest Airlines proudly introduced a modern new look to our iconic brand by unveiling a new airport experience, logo, and aircraft livery, named Heart. The new look showcases the Heart and strength of our nearly 46,000 Employees. Check out this time lapse video to watch the vibrant colors and identifying designs of our Heart livery come to life at Mach speed! 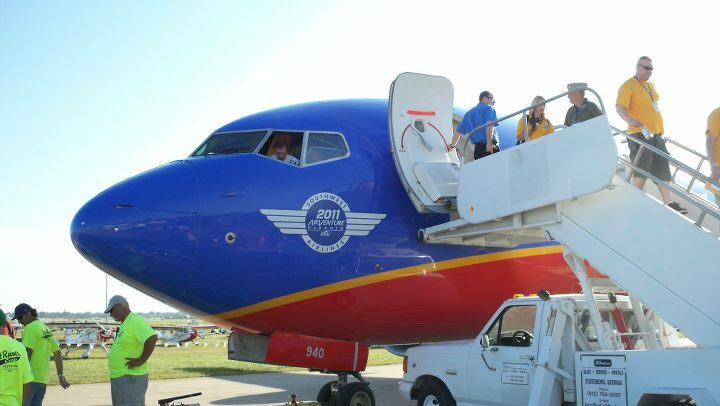 “Our Company's collective heartbeat is stronger and healthier than ever, and that’s because of the warmth, the compassion, and the smiles of our People,” said Southwest Airlines CEO Gary Kelly. “The Heart emblazoned on our aircraft, and within our new look, symbolizes our commitment that we’ll remain true to our core values as we set our sights on the future.” It’s a big year for Southwest, as we introduce our legendary brand to international destinations; the repeal of the Wright Amendment is within sight; and the integration of AirTran is on track to be completed later this year. Southwest continues to evolve, serving more than 90 destinations, and expanding our footprint in big markets like New York City and Washington, D.C. “With all these exciting changes happening, we thought it was time for a new visual expression of our brand—one that marries our past to our present and sets the course for where we’re headed in the future,” said Gary. Our modern new look introduces a striking new livery design, new iconic Southwest logo, newly designed inflight materials and onboard magazine, an advertising campaign that celebrates our unique personality (more to come on that! ), and a revamped experience both online and at our airport locations, all of which will showcase the unique spirit and Heart of our brand, and communicate our focus on Customer care. In addition, we will introduce a refresh to our signature “DING!” To bring this all to life, a Team was given the task to distill more than 40 years of rich history into one modern, impactful look, representing the exciting future of our one-of-a-kind airline. “The job wasn’t to change who we are,” said Vice President and Chief Marketing Officer Kevin Krone. “We already know who we are. The job was to keep the elements of Southwest that our Employees and Customers love, and to make them a bold, modern expression of our future.” “With so much of Southwest’s focus firmly set on the future, it was a natural time to look at our visual identity,” said Executive Vice President and Chief Commercial Officer Bob Jordan. “The Heart is our identity the same way the Heart of our Southwest Employees enhances the Customer experience,” said Kevin. 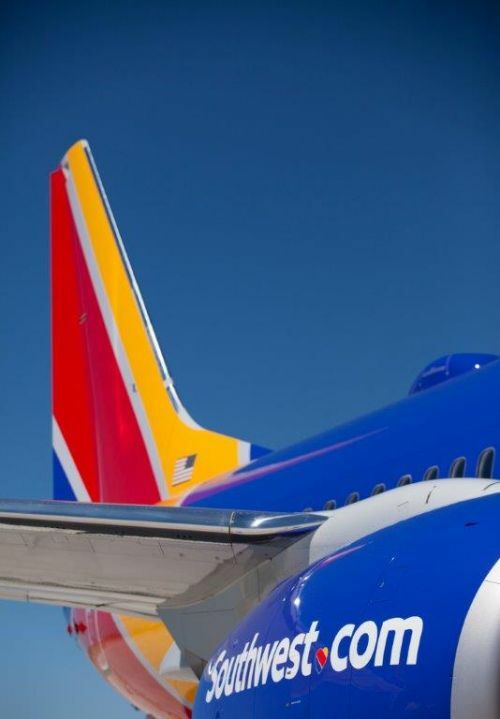 “It's the finishing touch that makes the Southwest brand unique, demonstrating that Southwest cares about each and every Customer. 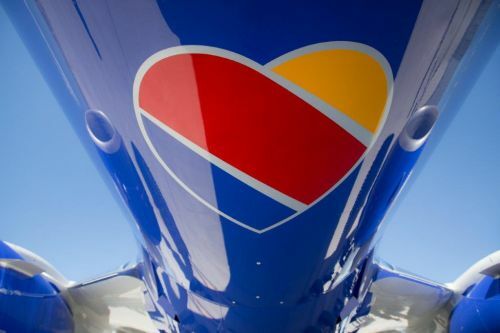 Even on the belly of the plane, the Heart is a symbolic reminder that we put our Hearts into every flight.” Southwest Airlines and our partners did comprehensive research and held numerous focus groups with Employees and Customers to determine how best to create the new look. We heard that it was important to remain unique and to retain our personality; for these reasons, we wanted to maintain a vibrant color palate and striped tail that has long identified us, while adding a modern touch, proudly displaying our Southwest name on the side of the fuselage and presenting the Heart on the aircraft belly. As a legendary low-fare carrier, Southwest doesn't make a change this bold without first assessing cost impact. The approach and focus with this launch has been with the intent to remain cost-neutral by using a phased rollout. Aircraft will receive the newly painted livery within the aircraft’s existing repainting schedule, with new aircraft delivered in the new Heart livery. In addition, many of the future airport conversions will be integrated into existing and upcoming airport improvement projects. Because Southwest is taking this cost-conscious approach to the conversion of planes and airports, it might be some time before you see the new design in person. 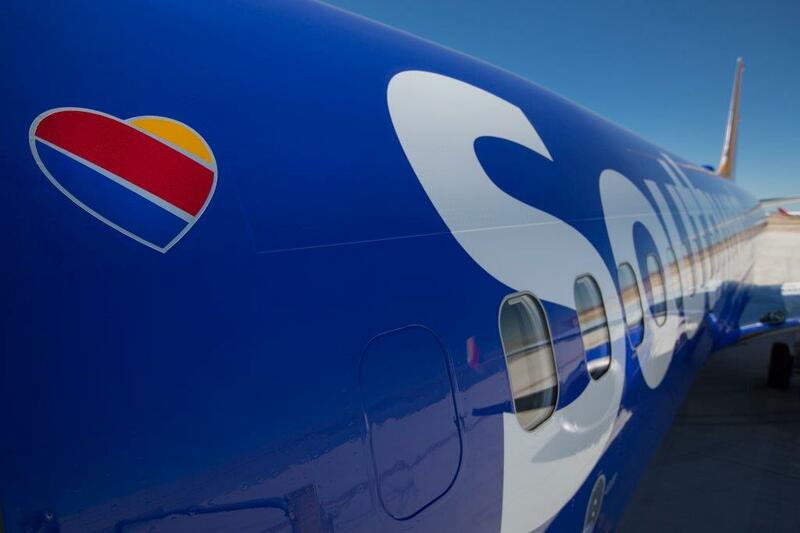 In the meantime, pleases enjoy a closer look at our new livery, logo, and airport experience by visiting Southwest.com/Heart. I like the new livery, especially the heart, but with the exception of the "Southwest" branding over the windows. The white branding with the stark contrast of the windows makes it look like somebody used the aircraft for target practice. Ski or Snowboard helmet OK in my ski bag?